 Iran, April 4, 2019 - Members of the “Resistance Units,” a network closely associated to the Iranian opposition group People's Mojahedin Organization of Iran (PMOI/MEK), continue targeting icons of the mullahs’ regime across Iran. Members of Resistance Unit 177 in Kermanshah, western Iran, set fire to a Revolutionary Guards (IRGC) Basij base while chanting, “Death to the Islamic Republic – Hail to the PMOI/MEK – Hail to Rajavi,” referring to Iranian Resistance leader Massoud Rajavi and opposition President Maryam Rajavi, head of the National Council of Resistance of Iran (NCRI). In West Azerbaijan Province, northwest Iran, members of Resistance Unit 454 set fire to an IRGC Basij poster while chanting similar anti-regime slogans. Members of Resistance Unit 320 in Tehran set fire to a poster of the Ministry of Intelligence and Security (MOIS) containing images of regime founder Ruhollah Khomeini and current Supreme Leader Ali Khamenei. This action was in solidarity with flood-hit victims across Iran. Members of Resistance Unit 840 in Shahr-e Rey, south of Tehran, set fire to an IRGC Basij base. In Kashan, central Iran, members of Resistance Unit 782 distributed leaflets quoting Maryam Rajavi emphasizing supporting the flood-hit victims is now a national duty, insisting the only solution is providing direct support to the victims. Resistance units in Markazi Province, Marand of East Azerbaijan Province, Rasht, Tehran, Khuzestan Province, Isfahan, Takestan and Hormozgan Province were seen posting Maryam Rajavi posters calling on the people to rush to the aid of flood victims.